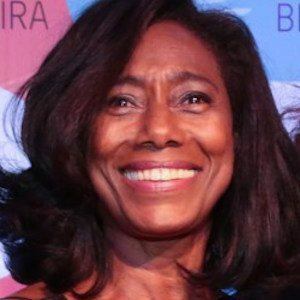 Brazilian journalist, reporter, and television presenter, who has won many lifetime achievement awards from different organizations over the course of her career. She has done interviews with celebrities, reports on wars, and has travelled the world for her work. She is the first black reporter to be on Brazilian television. She received her journalism degree from the Pontifical Catholic University of Rio de Janeiro. Upon graduating she worked for various written publications. Her first piece was published in November 1971. She said in an interview that all the traveling she did to report on the Middle East and other exotic places filled over ten passports during the '80s. She was born Gloria Matta Maria da Silva in Rio de Janeiro. She has two daughters, Laura Matta da Silva and Maria Matta da Silva. She dated Austrian engineer Hans Bernhard, a Frenchman named Eric Auguin, Portuguese entrepreneur Frederico Fragoso and Swede Martin Stenmarck. During her career she had the opportunity to interview superstars like Freddie Mercury, Michael Jackson, and Madonna.